Fern Britton missed out on a trip to Wembley as she and partner Artem Chigvintsev were beaten in the dance-off by Kimberley Walsh and Pasha Kovalev in week 6. 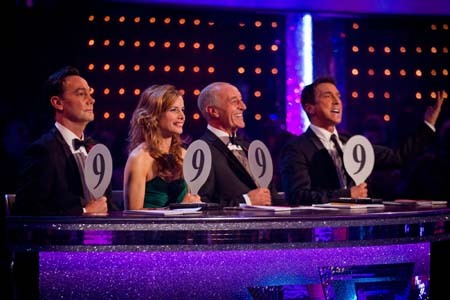 It was the right result in the end with Craig Revel Horwood, Darcey Bussell, Bruno Tonioli and Len Goodman all voting to keep Kimberley Walsh. Kimberley looked shocked to be in the dance-off, having finished joint second on the leaderboard after the judges’ scoring. She was not alone; Bruno in particular looked horrified. For some reason she was lacking viewer support in the phone vote. Maybe her fans thought she was safe and didn’t bother voting but it shows that no-one is safe without the support of the public. Bet her supporters don’t make that mistake again. 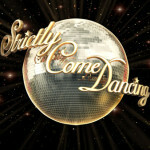 Kimberley was cheered on in the dance-off by Girls Aloud bandmate Cheryl Cole. Claudia Winkelman performed well as co-host with Tess Daly, as she stood in for Sir Bruce Forsyth on the live Saturday night show. The star of the week for me was Denise Van Outen who was stunning in her Paso Doble outfit. Denise’s dancing was stunning too, with all four judges reaching for their 9s as they gave the best score so far in this series. Can’t wait for next week at Wembley, when the remaining nine celebrities will have to be on top form to stay out of the bottom two. Sir Bruce Forsyth will be back to present this show.